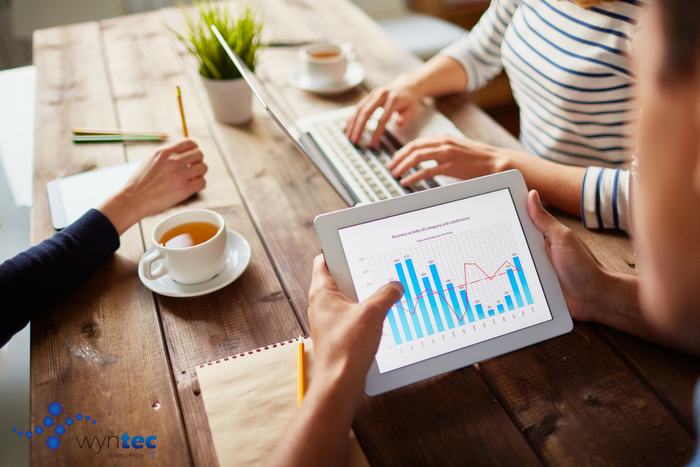 The Wyntec Sonar Monitoring Solution provides your business with peace of mind that your technology is up and running, all the time! Our 24x7 Monitoring solution means you can switch off from the daily management of your IT Systems and get focused on your core business. We know that any unplanned downtime to system servers can be costly to an organisation. We also know that most causes of these issues are predictable therefore preventable. These days 24x7 is pretty much a given. You expect your system to be online and operational all the time. Let’s face it no-one works just 9-5 any more. As much as office hours might say 9-5 but wait until that server or network goes offline at 10pm…then you’ll find out how quickly your need the system back online. We have built from the ground up an enterprise grade system monitoring solution based around the power of Microsoft solutions. When we searched for the right solution to provide a 24×7 monitoring and management solution we had to be sure it would provide scalability, performance and improved productivity for our clients. With an expanding range of solutions, our focus remains on monitoring and management all backed by our team of professionals running 24x7 keeping an eye on all your critical systems and networks. Please note that because of the time and quality of this report we have a set fee of 990+ GST which will be deducted from your first invoice, should you contract us to implement for you. You may also choose to have your team implement the plan for you; it’s your choice.